Need Emergency Door Repair Service? Call: 604-315-3667 Now! Overhead door systems have mechanical parts, get used everyday and are prone to employee misuse, abuse and often lack of maintenance. All of these and more contribute to your overhead door eventually having a part failure and you’ll need to have it repaired. Maybe an employee with a forklift has smashed one of the door panels and it needs to be replaced, or maybe one of the tensioning springs has broken. No matter what your door issue is, the only thing you want right now is to get it fixed. DoorTech Industries is a full service commercial door repair company serving the Lower Mainland and Greater Vancouver area. We have over 35 years experience with commercial door systems, servicing and installations. We can dispatch one of our fully equipped service trucks to your location 24 hours a day. One of our expert door repair technicians will arrive, with everything they will need “on-hand” to complete your repairs immediately. 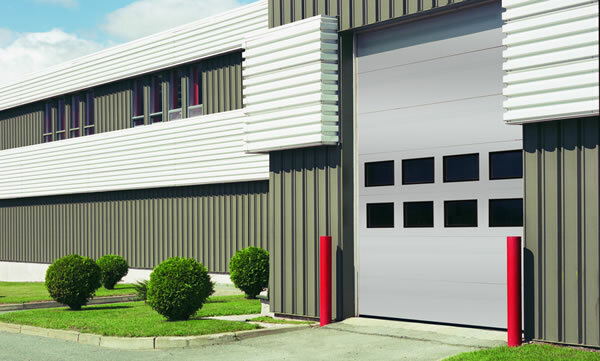 In the event you have an obsolete or fairly uncommon door system with hard-to-find parts we have a fully equipped fabrication shop and can usually fabricate and small parts required for your repair. We can repair any make or model of overhead door system. We stock replacement parts for all of the most common commercial door systems. Your commercial business might run around the clock, so when you have door problems that cause your production to slow, or the flow of goods to slow, it costs your business money. DoorTech Industries is proud to offer 24 hours emergency door service and repairs throughout the Greater Vancouver area. If it’s 3am in the morning and you have an overhead door system fail, you can call us and one of our trucks will be dispatched to your location within the hour. We’ll arrive on site with the necessary hardware and tools to repair your door.